This year I'm in not one, but two Fantasy Football leagues. I've revived Cinderella's Fellas from last year, and (because I loved the team image I came up with) I dubbed my other team Cinderella's Ball. To recognize the fine men who made the cut on both of my team's, I'm going to run a new whenever-I-feel-like-posting series celebrating the finest player on either of my teams at the moment. We're only one day into the regular season, and Cinderella already has a clear Prince Charming. That's right. I'm talking about Peyton Manning. The star quarterback of Cinderella's Ball had a banner night in the Broncos' season opener against the reigning Super Bowl champs, the Baltimore Ravens. I feel like a real princess after seeing how well he performed for my team. Be still my heart. Peyton threw for 462 yards, scoring seven touchdowns. For those of you who haven't heard, that ties the record set back in the 1960s for most touchdown passes thrown in a game. In addition to leading his team in a 49-27 victory, he also racked up the digits for my Fantasy Football team. We're talking 61.28 points. Oh, baby. Last year I had weeks when I barely broke 60 points, and my Prince Charming managed that all on his own. I practically purred when I checked the point total at the end of the game. Simply put, this headline on ESPN says it all: Peyton Manning is super, man. Not bad for a guy many people thought would never recover to his former greatness after undergoing major surgery and missing a whole season. Good at making touchdowns and ridiculous videos that sweep the Interwebs? 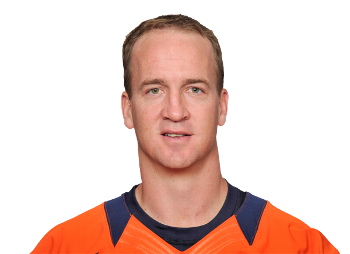 I'm totally crushing on Peyton this week. These posts are going to be my fave during football season! Let's go Pack!